How important is your sight? Most people rate it as their most important sense. For nursing home residents, being able to read, to see the faces of friends and family, and to get around safely are all vital for a good quality of life. Nursing home residents have a high risk of vision loss. Having regular eye examinations means earlier warning of eye problems, giving you a better chance of keeping your sight. Don’t wait until you notice your vision getting worse — you may not know when you have an eye problem until it’s too late. Never dismiss vision difficulties as just getting older. We know it’s not always convenient to go out to see an optometrist. 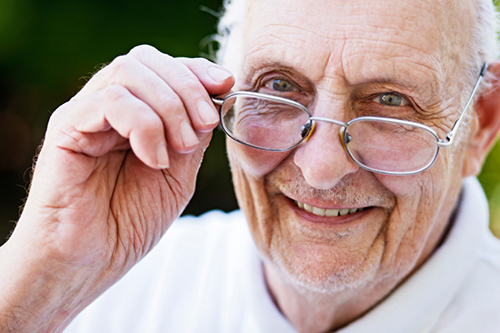 We bring eye care to you, so you don’t even have to leave the nursing home. With advanced portable equipment, we do comprehensive eye examinations to detect eye health issues before they threaten your vision. We can also help you make the most of your vision, updating your glasses and even providing magnifiers and reading lamps.